Pics today 14 01 2017 Teignmouth. Teignmouth pics during last few days. Pics walk Teignmouth 29 12 2016. 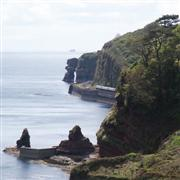 Pics from around Dawlish area during Xmas holiday. Pics Teignmouth seafront 24 12 2016. Misty seafront Teignmouth - 18 12 2016. A skein of Geese off Teignmouth front 17 12 2016.